Can you figure out this paper saving tip from the photos? 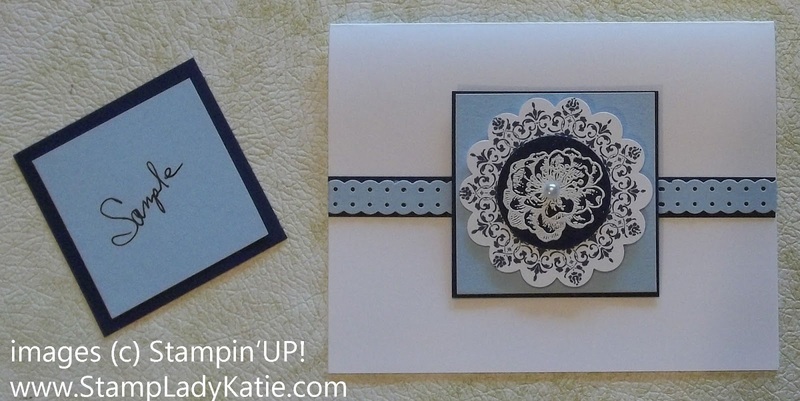 The flower in the center of this card was stamped on dark blue paper and punched out. The same color was used as the base layer for the center piece. So . . . since the dark blue is the bottom layer, you can use it to punch the flower's circle. No one will know there is a hole in it. How's that for a paper saving tip? The flower is from a new stamp set called Everything Eleanor. There is some really gorgeous imagery in this set, the more samples I make with it the more I love this set. Check out this card to see how I used some of the other images in this set. 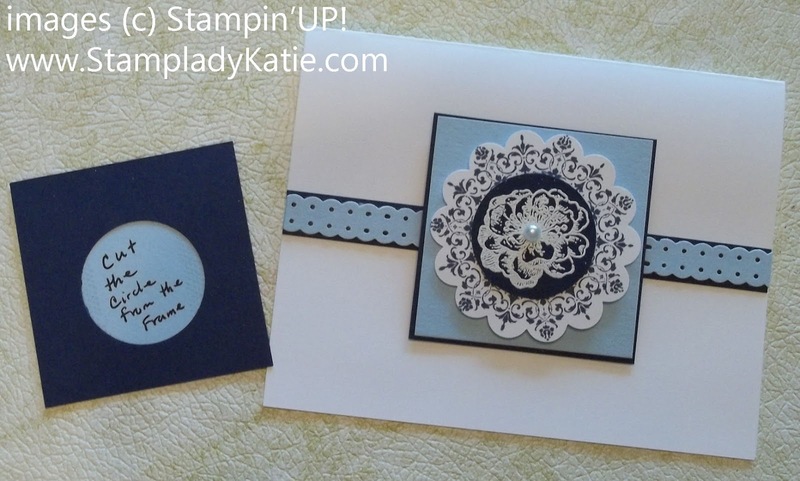 **Stamp the flower in white craft ink and heat emboss with white embossing powder BEFORE punching out the circle. 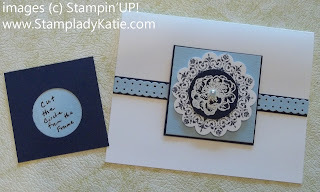 **I love how Stampin'UP! 's pearls are self-stick! It makes a beautiful center for the flower on this project. 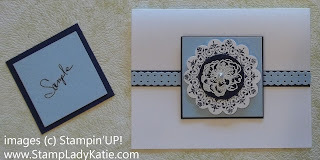 You can get all the supplies to make this card from my Stampin'UP! store. 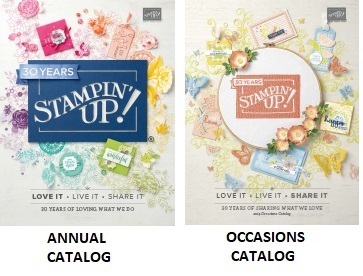 Other Recent News from Stampin'UP! HOSTESS SPECIAL During June and July Hostesses can earn an extra $50 for parties of $450 or more. That's $115 of free product and 1 item at half price. 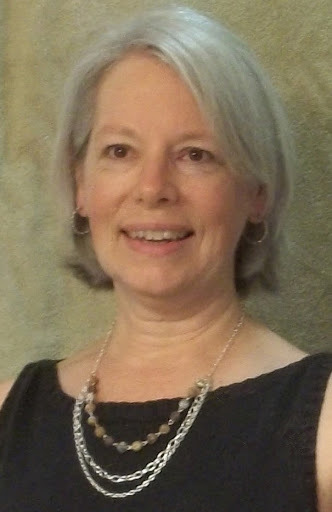 Contact me today to schedule your event or ask about running a Book Party. STARTER KIT SPECIAL If you purchase the starter kit during June you will get a trio of 3 additional free products: a stamp set, a pack of designer paper and a digital download. All part of a product suite that is not yet available in the current catalog but will be available in the next mini catalog. Buy the kit to start your business. -or- Buy the kit because its a great deal on stamps ($125 worth of product for only $99!) 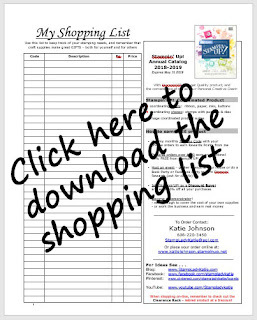 Contact me with your questions or purchase the Starter Kit online HERE.